Chinese manufacturer Doogee’s aims to release a rugged smartphone that features modular accessories similar to Motorola’s Moto Z. The idea behind the S90 is for it to be a heavy-duty, durable smartphone with useful modules. It’s set to sport a bezel-less display, a 5,050mAh battery, a rugged body and also supports 10W fast wireless charging. Attaching the modules seems simple, with the accessories snapping on using plates on the rear of the phone. The multi-pin connecter allows multiple accessory configurations, says Doogee. Some modules are more recognizable, such as a power adapter that sports an extra 5000mAh, and a gamepad. Others are a little more unique, like a walkie-talkie that can be used without network coverage, or a night vision camera. 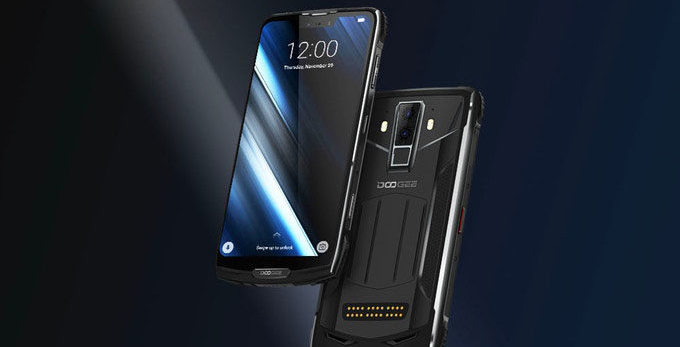 According to Doogee, the S90 is designed to be extremely rugged. It meets or exceeds the MIL-STD-810G durability tests along with the IP68/69K dust and water resistance standards. The smartphone’s Kickstarter is already successfully backed with 29 days remaining, though it’s worth noting that the goal is relatively low, coming in at only $10,000 USD (roughly $13,269 CAD). Doogee hasn’t been hesitant in the past when it comes to releasing smartphones that feature unique concepts, such as a design that eliminates the display notch or a device that features a curved screen. Doogee plans to ship the S90 in February.